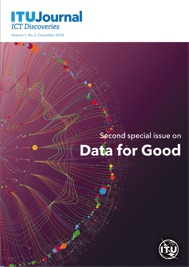 The second special issue of the ITU Journal: ICT Discoveries presents academic papers that offer insight into the increasing sophistication of techniques used to exchange and understand data, while also exploring how data can safely fuel more autonomous, human centric information and communication technologies. 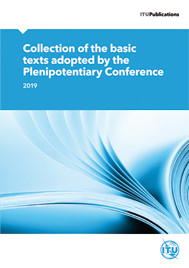 Given the interdisciplinary nature of the issue, it features contributions that add a deeper dimension to the discussion by looking at the policy, regulatory and ethical aspects involved in the increasing use of data today. 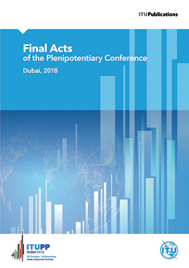 This is the first paper in a new series of ITU's Issue Paper on Emerging Trends, which aims to identify and recognize emerging trends in the telecommunication/ICTs environment, and share the information with all ITU membership to enhance our capacity to understand the force transforming our society with the development of telecommunication/ICT. 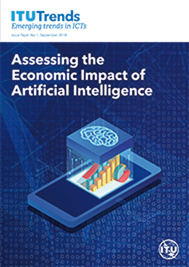 Contributed by the McKinsey Global Institute, the economic and business research arm of McKinsey & Company, it offers a framework for thinking about how to model the economic impact of AI, putting this exercise in the context of the research on the dynamically changing world of work in the light of automation, the need for a skills revolution, and the increasing and potential use of AI by companies. 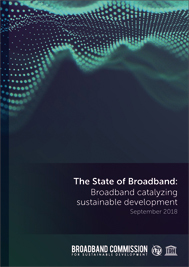 This annual report from the ITU/UNESCO Broadband Commission for Sustainable Development showcases the state and trends in broadband deployments around the world. The 2018 edition is now available for download below, or for the first time available online in a new interactive format.